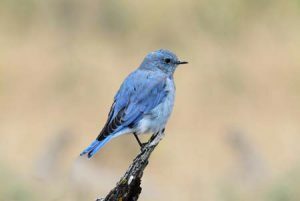 Are you planning to go birding in Big Sky? Bring your binoculars and you might spot some of the most amazing birds in the world. Yellowstone National Park is home to approximately 285 species of birds and Montana is home to over 400 species of birds. This is a great place to start your Big Year! If you're going birding in Big Sky, you're in luck because there are so many different species of birds to see here - and you never know when you might spot your favorite birds. Some of our favorite birds include Canada Goose, Wild Turkeys, Bald Eagles, Snowy Owls, Mountain Bluebirds, Peregrine Falcons, Osprey, American Dippers, Trumpeter Swans, and the list goes on. Birds are the one creature that can truly enjoy the full experience of Big Sky's big sky. We've spotted stunning birds hiking, skiing, driving down the road, rafting the Gallatin River, drinking our morning coffee, and of course in the wildlife paradise of Yellowstone National Park. Birds seem to be everywhere around here and that's why birding in Big Sky is so much fun. With over 400 species of birds living in Montana, it would be challenging to list every bird species that calls Big Sky county home in this single post. Below we highlight the types of birds in Montana based on Mt.gov's Montana Field Guides. 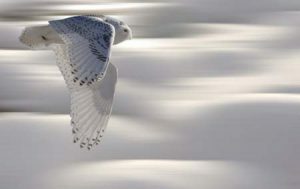 Learn all about the Birds Of Big Sky when you purchase the Birds Of Montana book from Montana Audubon. This book highlights all 433 "bird species that have been found in the state since Montana entered the Union in 1889." It includes color range maps, illustrations, and habitat photos. Pretty cool book if you love birds like we do! If you capture an amazing photo of any cool birds in Big Sky country, share it on social media with #visitbigsky and we'll share it with everyone! Good luck birding in Big Sky!